Camping Caravaning Laguna-Playa находится в Torre del Mar, Ма́лага, расположен по морю. кемпинг предлагает местa Выделенные, в тени, Без тени и Площадки с небольшим количеством тени. Camping Caravaning Laguna-Playa расположен вблизи Песочный пляж и Пляж, покрытый галькой. Предлагаются в аренду Бунгало. В кемпинге есть Игровая площадка. В кемпинге есть Открытый бассейн и Бассейн для детей, начинающих ходить. В окрестностях кемпинга можно купаться в Море. В Camping Caravaning Laguna-Playa разрешается заниматься Плавание под водой маской и трубкой, Виндсерфинг и Водные лыжи. Этот инспектор посещает каждый год Camping Caravaning Laguna-Playa и проверяет кемпинг по более 200 элементов инфраструктуры и услуг и другим критериям.Инспектор является сотрудником ACSI и не имеет никаких обязательств перед кемпингом. Very nice and peaceful place. We planed to stay 3 nights and finally stayed 9. Camping very clean, staff polite. Toilets and showers cleaned few times a day. Pitches with power, water and drained around. Town nearby full of nice restaurants and shops. Beach at 200 meters. Nice , big and clean swimming pool in camping. Shop inside camping with fresh bread and other necessities.I f will be in region definitely will come back. Nice friendly campsite, almost completely in the shade. Close to good beaches and very popular with Spanish families. It was a bit noisy at weekends due to the cafe del mar nightclub nearby. Torre del mar is a nice resort with lots of places to eat and within easy walking distance of the site. Site well situated close to town. Shady and relaxed. Easy walk or cycle. Shop open but not well stocked. Good swimming pool. Bar and restaurant open. Quiet site. Toilets etc being renovated. Beware sticky yellow flowers falling off trees in late April and impossible to remove from clothes and chairs. Very good free wi-fi. Our initial reaction to this site was it was like a travellers' camp. The pitches were large but no money has been wasted on landscaping. The ground was very hard, so "tenters" beware, you will need hard ground pegs. The washing up facilities were 50% cold water only and 50% mixed. Our first night was a Saturday night and very noisy. My wife asked the Spanish family next door to keep it down at 1.30 and there were young lads driving round in cars blaring loud music well after that. The disco in Torre del Mar could be heard as a bass thump for most of the night. Laguna Playa was a grey dust beach and it was about 1km to the Paseo Maritimo which was beautiful for an evening stroll. WiFi is free but restricted to one device per pitch. My advice is don't bother as I don't know why this is a category one site! Staying at this campsite 5 weeks in March. Very friendly Staff/Owners, nothing too much trouble. Very refreshing to be made so welcome on a Spanish site. Very clean showers, plenty of hot water all round. Handy for shops/bars. Good walking on front. Would be the only site I would stay at if we return South. Would like to thank Staff and Owners for very pleasant stay. Most of all Pepe is a hard working star. Thank you all. Wash-basins too narrow and taps with bad maintenance. Few toilets in comparison with the numbers of people. Ground of plots badly levelled. Хотите забронировать место в кемпинге Camping Caravaning Laguna-Playa или Вам нужна дополнительная информация? См. информацию ниже или собственный интернет-сайт кемпинга. 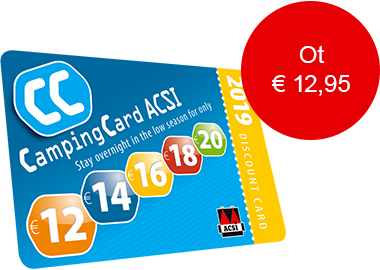 ACSI Eurocampings переправляет ваш запрос информации в "Camping Caravaning Laguna-Playa".